The College of Medicine’s Scientific Advisory Group advises the College on good science that embraces both the biomedical and the psychosocial. The 20 Professors that sit on this group are all highly respected and influential scientists and researchers that have been leaders in their field. They provide academic and intellectual ballast for the College and guidance for the College’s Council on its work and initiatives. Stephen Holgate is Medical Research Council Clinical Professor of Immunopharmacology at the Faculty of Medicine, Southampton, UK. He has utilised many approaches to study asthma including epidemiology, genetics, pathology, microbiology and immunology, pharmacology and experimental medicine. This research has informed guidelines on asthma management and has identified and validated novel therapeutic targets. 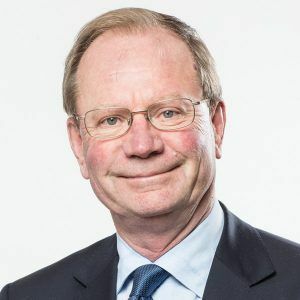 He is a Past President of the British Society of Allergy and Clinical Immunology and British Thoracic Society, was Chair of the MRC Population and Systems Medicine Board (PSMB) and then the MRC Translational Research Group. For 3 years until 2016, he chaired the European Respiratory Society Science Council and the ERS Scientific Congress Programme Committee, was Treasurer of the World Allergy Organization, Member of the Medical Science Committee of Science Europe and is a Member of the Horizon 2020 Science Panel for Health (SPH). He is a Trustee of Cancer Research UK, the Kennedy Trust and the British Lung Foundation, was founder member of the UK Academy of Medical Sciences and has established a new clinical and veterinary section of the Acadamie Europea. In 2011, he was appointed Commander of the British Empire in the Queen’s New Year Honours list for services to clinical science. Professor Sir Al Aynsley-Green Kt. MA , D.Phil, Dhc, DUniv, DCL(Hon), MD(Hon), DEd(Hon),FRCP, FRCP (Edin), FRCPCH, FFPH(Hon), FRCPI (Hon), FMed Sci, FRSA. Sir Al Aynsley-Green trained at Guy’s Hospital Medical School, University of London, then as a children’s physician in Oxford and as a paediatric endocrinologist in the Children’s Hospital, University of Zurich, Switzerland. He was appointed the first National Clinical Director for Children in the Department of Health in Government in 2000, before becoming the first independent statutory Children’s Commissioner for England from 2005-10. He was President of the British Medical Association 2015-16. He is now Professor Emeritus of Child Health at University College London, and. Visiting Professor in Advocacy for Children and Childhood in Nottingham Trent University. 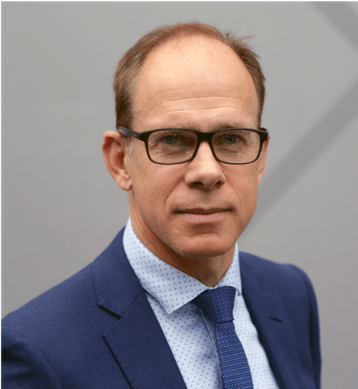 He has received the Spence Medal of the Royal College of Paediatrics and Child Health, the Prader Prize of the European Society for Paediatric Endocrinology, and the International Award of the International Juvenile Justice Observatory. He was knighted by HM the Queen for his services to children and young people in 2006. Ruth is currently a half-time partner in a GP practice in Tunstall, Stoke-on-Trent, and also Clinical Telehealth Lead at NHS Stoke-on-Trent Clinical Commissioning Group. She is honorary professor at Staffordshire University School of Health and has also been appointed honorary professor at Keele University, where she is the lead for the clinical priority, Long Term Conditions for the West Midlands Academic Health Science Network. Her present role includes direct patient care, in a busy general practice in a deprived community in the city of Stoke-on-Trent. Chair of Environment and Human Health, University of Exeter Medical School. Founder of the European Centre for Environment and Human Health. Former Chief Scientist of the Environment Agency and member of the Royal Commission on Environmental Pollution. Founding Board Member, Natural England. Adviser to WHO and UNEP, and Special Adviser to the Eden Project. Paul qualified as a doctor in London in 1970 and specialised in rheumatology. He became a professor of rheumatology in Bristol in 1987, and then Dean of the Bristol Faculty of Medicine between 1994 and 1997. He then switched to health services research and was the Director of the MRC Health Services Research Collaboration between 1997 and 2007. After that he spent a short time at the University of Oxford before moving to the Peninsular Medical School to work in clinical education research. With the formation of the new Exeter Medical School, Paul then took on the new role of Professor of Health and Wellbeing. He is now setting up a network of people in and around Exeter with academic interests in health and wellbeing. He is also continuing his research into healing. Gene Feder qualified at Guy’s Hospital medical school, then trained as a GP. He was a principal in Hackney, east London for 21 years until moving to Bristol in 2007. He held the Chair of primary care research and development at Barts and the London (QMUL) until 2008 and now is a professor of primary care at the University of Bristol. He has chaired 4 NICE clinical guidelines and the WHO intimate partner violence guideline development group. His current research programmes focus on the diagnosis and management of stable cardiovascular disease and health care responses to domestic violence. His main methodological expertise is in randomised controlled trials and systematic reviews, collaborating with epidemiologists and social scientists on cohort and qualitative studies respectively. Gene was appointed OBE in the Queen’s 2017 New Year’s honour list for services to healthcare and victims of domestic abuse. Simon Gibbons is Professor of Medicinal Phytochemistry and Head of the Department of Pharmaceutical and Biological Chemistry at UCL. He is also President of the Phytochemical Society of Europe, a member of the Home Office’ Advisory Council on the Misuse of Drugs (ACMD), Chairman of the ACMDs Novel Psychoactive Substances Committee, and a member of the Governing Council of the College of Medicine. His research interests include antibacterial plant natural products, natural product bacterial resistance modifying agents, the chemistry and pharmacology of novel psychoactive substances and drugs of abuse, and the phytochemistry of herbal drugs. Simon also has a long standing and highly fruitful collaboration in place with Professor Glenn W Kaatz of Wayne State University to study efflux pump inhibitors against Staphylococcus aureus. 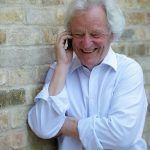 Muir Gray CBE, DSc, MD, FRCPSGlas, FCLIP is a life-long champion of patient empowerment. Director of the NHS National Knowledge Service, he created the National Library for Health and the ‘Behind the headlines’ service that offers professionals and the public an evidence-based analysis of health news stories. Sir Muir has worked in public health for 35 years. While Director of the UK National Screening Committee, he pioneered Britain’s breast and cervical cancer screening programmes and the foetal, maternal and child screening programme. Professor Bruce Griffin is a biomedical scientist with over 30 years of research experience in the fields of human lipid and lipoprotein metabolism, nutrition and cardiovascular disease. 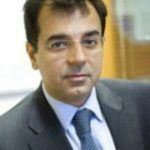 He has held academic posts as a Lecturer, Senior Lecturer, Reader, and is currently Professor of Nutritional Metabolism, and Section Leader in Macronutrients & Metabolic Medicine within the Faculty of Health & Medical Sciences at the University of Surrey. He is a Theme Leader in Whole Body Metabolism for the Nutrition Society, a member of the Association for Nutrition, and is active as a teacher, researcher and public speaker in metabolic nutrition. He has sat on several editorial boards (Atherosclerosis, Cholesterol, British Journal of Nutrition, Lipid Metabolism, BNF’s Nutrition Bulletin, European Journal of Nutrition), and published extensively on the topics of human plasma lipoproteins, dietary fatty acids and cholesterol in relation to cardio-metabolic health. His research work has been supported with grants from the UK Food Standards Agency, Research Councils (MRC, BBSRC, DEFRA), charities (BHF, PCUK), and industry. Professor Griffiths practiced as a service based public health physician at local, regional and national level in UK before moving to her academic post in Hong Kong. A former Director of Public Health for Oxfordshire, she was President of the Faculty of Public Health of the Royal College of Physicians between 2001-4. In 2003 she chaired the Hong Kong SAR government’s SARS Inquiry, joining the Chinese University of Hong Kong (CUHK) as Director of the School of Public Health and Primary Care in 2005. Since 2013 she is Emeritus Professor at CUHK Senior Adviser on International Academic Development for the Vice Chancellor. 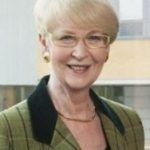 In the UK, her current roles include Associate Non Executive member of the Board of Public Health England and chair of the Global Health Committee, Visiting Professor at Imperial College and Trustee of the RSPH. She has chaired the Commission on Inequalities in Health for Oxfordshire and is Chair of CHAD. 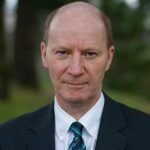 Hugh MacPherson trained as a practitioner of acupuncture and Chinese herbal medicine in the early 1980s and continues to practice acupuncture in York, UK. He subsequently founded the Northern College of Acupuncture, based in York, and steered the College towards achieving university validation for the first acupuncture degree course in the UK. He set up and directed the Foundation for Research into Traditional Chinese Medicine and subsequently has worked at the Department of Health Sciences, University of York. His research includes conducting safety studies, clinical trials and systematic reviews. His trials have evaluated the effectiveness and cost-effectiveness of acupuncture for a variety of conditions, including low back pain, irritable bowel syndrome, depression and chronic neck pain. He has also conducted neuroimaging studies exploring potential mechanisms of acupuncture. He is the lead editor of the book, ‘Acupuncture research: strategies for building an evidence base’ and a co-editor of, ‘The integration of East Asian medicine into contemporary healthcare’, both published by Elsevier. Professor Margaret Rayman has a first-class honours degree in chemistry from Queen’s University Belfast and a doctorate in Inorganic Biochemistry from Somerville College, Oxford. She has held post-doctoral fellowships at the Institute of Cancer Research and Imperial College, London. Since 2007, she has been Professor of Nutritional Medicine at the University of Surrey where, in 1998, she set up the highly respected MSc Programme in Nutritional Medicine of which she was Programme Director for 14 years. In 2014, she was appointed Visiting Professor at the First Affiliated Hospital Xi’an Jiaotong University School of Medicine, Xi’an, China where she is Honorary Director of the Clinical Research Center. Her research, which includes a number of randomised controlled trials, centres on the importance of trace elements to human health with particular emphasis on selenium and iodine in populations with marginal selenium or iodine status. She has published widely on the effects of selenium on human health including a number of highly cited reviews in The Lancet and is a Thomson-Reuters Highly Cited Researcher. As part of her extensive work on iodine, her group found a significant association between mild-to-moderate iodine deficiency in UK pregnant women of the ALSPAC cohort and poorer IQ and reading ability in the offspring at ages 8 and 9 (Lancet 2013). She has authored three books: an academic book ‘Nutrition and Arthritis’ (Blackwell Publishing) in 2006 and two evidence-based cookbooks ‘Healthy eating: the prostate care cookbook’ in 2009 (translated into three languages), and ‘Healthy eating to reduce the risk of dementia’ in 2015. Damien Ridge is Professor of Health Studies, and Acting Head of Psychology, at the University of Westminster, London. 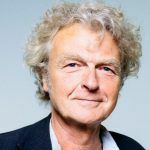 A specialist in patient experience, he was previously of the Health Experiences Research Group (HERG) at the University of Oxford, where he first began to flesh out what recovery from depression entailed for patients. In 2010, the UK-wide National Institute for Health and Care Excellence (NICE) adopted his research extensively into their guidance on the management of depression in adults in the UK. In 2014 his broad depression programme was singled out for its “outstanding reach and significance” in the results of the UK-wide Research Excellence Framework 2014. 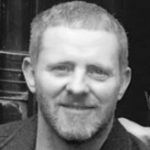 In 2015, his work in originating the Atlas Men’s Wellbeing pilot programme for distressed men in primary care was shortlisted for the BMJ Award (primary care). He is a psychotherapist and sociologist, who has published over 80 academic papers and one sole authored book. Nicola Robinson is a Professor of Traditional Chinese Medicine and Integrated Health at London South Bank University. Nicola has an active research career publishing in epidemiology and health services research as well as in complementary medicine. Prof. Robinson has been involved with international collaborations on various systematic reviews; integrated medicine for low back pain, Chinese herbal medicine and tuberculosis, polcystic ovary disease, chemotherapy induced peripheral neuropathy, infertility and acupuncture. A special area of interest is Taichi. Having received funding from the Tracie Lawlor Trust for cystic fibrosis to explore feasibility of teaching Tai chi to people with cystic fibrosis and their carers, she works with the Royal Brompton and Harefield Hospital Trust in London. This work has also now also been supported by the CF Trust and further research is ongoing. 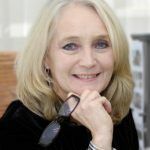 Professor Robinson’s undertook commissioned work by the London Sexual Health Programme and the Department of Health which included; developing resources (a toolkit) for patient/public employment in sexual and reproductive health, evaluating sexual and reproductive health and HIV service delivery in terms of QIPP agenda and she was involved in an evaluation of the impact on sexual health provision during the Olympics. 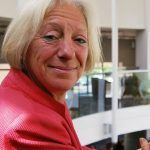 Debbie was appointed to the Foundation Chair of Primary Health Care at the University of Bristol in 1994 and spent nearly 20 years developing what has become one of the foremost academic departments of primary care in the UK. 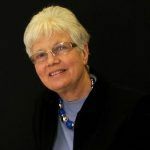 She has had many national roles in academic medicine including membership of GMC council, GMC education committee, many NIHR and MRC grant bodies and the original ‘Walport’ Committee. She has undertaken several major research studies in the field of CAM and is currently undertaking a DH funded scoping review looking at the potential of an integrative medicine approach for patients with multimorbidity in primary care. 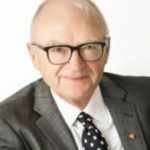 Professor Karol Sikora is Chief Medical Officer and founder board member of Proton Partners International, which is building UK and international proton therapy centres. He held the same positions at Cancer Partners UK, which built eight UK IMRT and IGRT radiotherapy centres before it was sold to Genesis Care in 2015. He was Professor and Chairman of the Department of Cancer Medicine at Imperial College School of Medicine. He is Dean of Medicine at Britain’s first independent Medical School at the University of Buckingham and Fellow of Corpus Christi College, Cambridge where he obtained a double first. He trained at The Middlesex and St Bartholomew’s Hospitals and researched with Nobel Prize winner, Dr. Sydney Brenner. He became a clinical fellow at Stanford University, California before directing the Ludwig Institute in Cambridge. He established the cancer research laboratory at Hammersmith Hospital and raised £8m for a new cancer centre. He was Deputy Director of Clinical Research at the ICRF. From 1997 to 1999 he was Chief of the WHO Cancer Programme and from 1999 to 2002, Vice President, Global Clinical Research (Oncology) at Pharmacia Corporation. He has published over 300 papers and written or edited 20 books including textbook ‘Treatment of Cancer’. 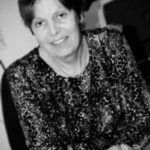 Emeritus Professor in Oral Health Services Research at the University of Leeds. She was previously Director of WHO Collaborating Centre for Research in Oral Health, Migration and Inequalities at Leeds and Honorary Consultant in Dental Public Health at Bradford Health Authority. Her background in dentistry ranged from clinical practice to prevention, oral health promotion research and outside dentistry to evaluating SureStart programmes and promoting breast screening among minority ethnic groups. She founded the Yorkshire Regional Oral Health Care Services in Paediatric oncology. In 1999, Sonia was awarded MBE for services to children and ethnic minorities. She later studied nutrition, obtaining MSc in Nutritional Medicine at the University of Surrey and is now a registered nutritionist. She currently supports research and lectures in nutrition (including the functional medicine approach) on an MSc programme in Nutrition Science and Practice at the Northern College of Acupuncture in York. Professor Robert Thomas is a Consultant Oncologist at the Primrose Oncology Unit, Bedford and Addenbrooke’s, Hospitals, a professor of Biological and Exercise Science at Coventry University and Senior Clinical Tutor Cambridge University. He is author of the book “Lifestyle after Cancer” and editor of the lifestyle and cancer website Cancernet.co.uk. He has an academic interest in the evaluation of nutritional, lifestyle and self help strategies after cancer. He has designed, conducted and published numerous UK RCT’s including the worlds largest evaluation of a polyphenol rich nutritional supplement in men with prostate cancer (Pomi-T study). He was an author for the evidence review for the National Cancer Survivorship Initiative and designed the UK’s first government approved course and qualification in cancer rehabilitation. In 2007, he was awarded The British Oncology Association’s “Oncologist of the Year” and in 2014 the Royal College of Radiologist’s Frank Ellis medal.